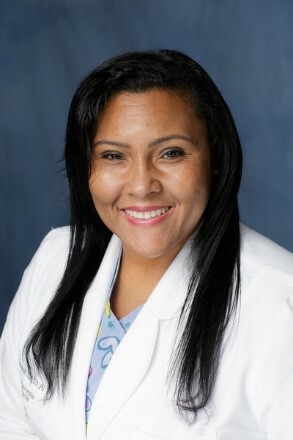 Edna I. Betances-Harold, LPN, CDIP, CCS, CCDS, is the CDI supervisor at the University of Florida Health in Gainesville, and the president of the Florida chapter of ACDIS. ACDIS: How long have you been in the CDI field? Betances-Harold: I have been in the CDI field for 13 years, but I have been generating queries since 1996. Let me explain: writing queries is inherent to coding, so I have been generating queries since becoming a coder in 1996. ACDIS: What did you do before entering CDI? Betances-Harold: I was a coder, a nurse, a mental health screener, psychiatric nurse, and correctional nurse. ACDIS: Why did you get into this line of work? Betances-Harold: Honestly, I was bored with coding. I am a very social person and I loved the idea and the challenge of talking to physicians about their documentation. ACDIS: What has been your biggest challenge? Betances-Harold: I have a teenage daughter—enough said! Professionally, the biggest challenge is getting physician buy-in. But, if you could get the physicians to slow down long enough to understand that all that great care they’re providing needs to be documented in codeable language, then we probably would not have jobs. ACDIS: What has been your biggest reward? Betances-Harold: My biggest reward thus far has been becoming a supervisor of CDI and the Florida ACDIS president. These two roles have delighted and affected me in ways I had never dreamed of. I am learning so much more about CDI from different perspectives and points of view. This is truly an amazing privilege and honor. getting ready to board a Disney cruise. ACDIS: How has the field changed since you began working in CDI? Betances-Harold: In the beginning, CDI only reviewed certain payer charts to see what we could add and how we could generate additional reimbursement. CDI is not as focused on the reimbursement as it used to be. The focus now is quality driven and providing thorough and complete pictures of our patients. ACDIS: Can you mention a few of the "gold nuggets" of information you've received from colleagues on the Forum or through ACDIS? “The query written must be in observance of industry best practice standards. Queries should have clinical support, cite context, and offer responses that have compliant choices.” That is key to the entire CDI process. ACDIS: What are your favorite memories from the ACDIS conference? Betances-Harold: I’ve been to three conferences and my favorite memory was meeting Brian Murphy, Penny Richards, and Melissa Varnavas. It was so wonderful to finally meet a few of the key people that work so hard at organizing the national ACDIS. ACDIS: What piece of advice would you offer to a new CDI specialist? Betances-Harold: Keep an open mind and always be willing to learn from others. ACDIS: If you could have any other job, what would it be? Betances-Harold: A crime scene investigator. I love trying to solve a mystery. ACDIS: What was your first job? Betances-Harold: My first job was as a health service technician at the Vineland Developmental Center in New Jersey. I cared for and assisted developmentally and physically challenged adults with their activities of daily living. ACDIS: Can you tell us about a few of your favorite things? Vacation spots: My most favorite vacation spot is the beach—any beach! I will settle for any place I can be with my family and laugh, though. Activity: Manicure/pedicures, and binge-watching Forensic Files, 20/20, Dateline, The First 48, Dr. G Medical Examiner, and Autopsy—while eating bacon! ACDIS: Tell us about your family and how you like to spend your time away from CDI. Betances-Harold: I love Disney Cruises, so I go every year. I spend my time away from CDI singing in the choir or volunteering at church. I also like to code charts from home when I can. ACDIS: Is there anything else you'd like to add? Betances-Harold: I prefer to be happy and jovial. I am an optimist and I love to laugh. I can find humor in many situations. I am a firm believer in treating others as you would like to be treated and, for some, a good hard belly laugh is what you need to make it through the day.